Although Pixar has never made anything I'd call a "bad" movie, they've had mixed results with their sequels. The second and third "Toy Story" movies are just as beloved as the original, and "Finding Dory" is the highest-grossing animated film of all time. 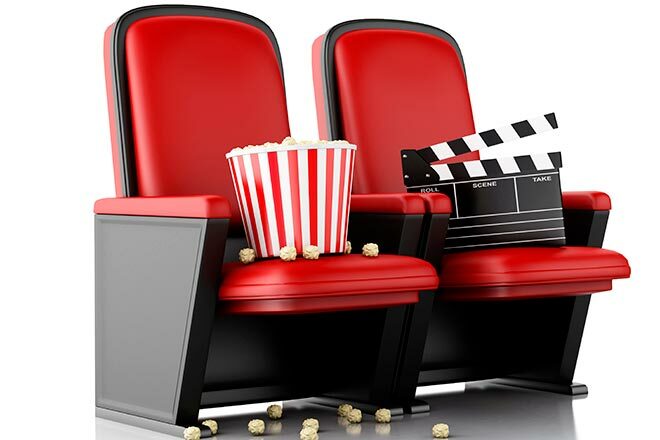 But "Monsters University" was an addendum that seemingly nobody wanted, and the two "Cars" sequels are considered the black sheep of the studio. Still, fans were clamoring for a follow-up to "The Incredibles", the 2004 family-of-superheroes adventure that opened the door to a world that clearly needed more exploring. It's been a 14-year wait, but yes, this is every bit the sequel that fans have been craving. We join the Parr family right where we left them - ready to do battle with The Underminer (Pixar fave John Ratzenberger). Some heroic hijinks and damage to the city's infrastructure later, and the Parrs are in trouble again for unauthorized crime-fighting. Things look dire for the family, but salvation comes in the form of a pair of tycoon siblings (Bob Odenkirk and Catherine Keener) who want to bankroll a public comeback for Mr. Incredible (Craig T. Nelson), his wife Elastigirl (Holly Hunter), and family friend Frozone (Samuel L. Jackson). The catch is that they want to bring back the supers one at a time, starting with Elastigirl, which means Mr. Incredible will have to be benched for the time being. The deal is too good to pass up, so Mr. Incredible reluctantly agrees to stay home and watch the kids while Elastigirl does the hero- no, heroine work. Watching over three children turns out to be a more daunting task than Mr. Incredible anticipated. Teenage daughter Violet (Sarah Vowell) is distraught over a crush who knows her secret identity (the situation is rectified, but the correction makes things worse on the social front). Oldest son Dash (Huck Milner) needs help with his homework, but it's 60's-style New Math that even his father can't understand. And baby Jack-Jack is just starting to learn he has a plethora of superpowers, including invisibility, laser-eyes, and self-multiplication. The situation with Jack-Jack is too much for even Mr. Incredible to handle, so he "allows" costume designer Edna Mode (Brad Bird, the director of the film) to watch the baby for a bit and help him channel his powers. Elastigirl, for her part, tangles with a hypnotizing villain called The Screenslaver and meets some fellow underground supers, my favorite of which is Voyd (Sophia Bush), who can create wormholes out of thin air. The superhero stuff is mostly just fine, save for a few outstanding sequences like a motorcycle chase, hand-to-hand combat with strobe lighting, and especially baby Jack-Jack tussling with a masked adversary. But otherwise even the magic of Pixar can't make up for the fact that we've been seeing a lot of superheroes lately, and their action-filled set pieces - monumental though they are - are beginning to become commonplace. Also, the identity of the villain is supposed to be a secret, but I found it way too easy to figure out. I guessed correctly based character descriptions that were released a few months ago. The strengths of "Incredibles 2" lie not with its action (though don't get me wrong, impressive action is there if you want it), but with its family dynamic. Nelson and Hunter deserve Oscar nominations for the life and chemistry they give to their characters. I swear I heard applause after a scene of them simply having a conversation. A family dinner over Chinese takeout is equally laudable, with the kids holding their own in a debate over the ethics of illegally using their superpowers to do good. Again, the film isn't lacking for excitement or visual gags, but some of its best moments are some of its simplest. 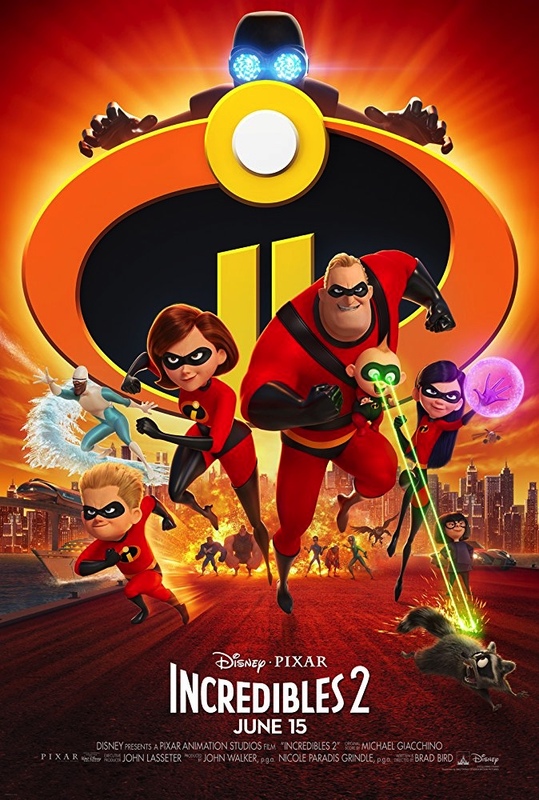 "Incredibles 2" is everything you want from a Pixar movie - smart, funny, adorable, inspiring, painstakingly animated with excellent results, and best of all, heartfelt. "Incredibles 2" is rated PG for action sequences and brief mild language. Its running time is 118 minutes.